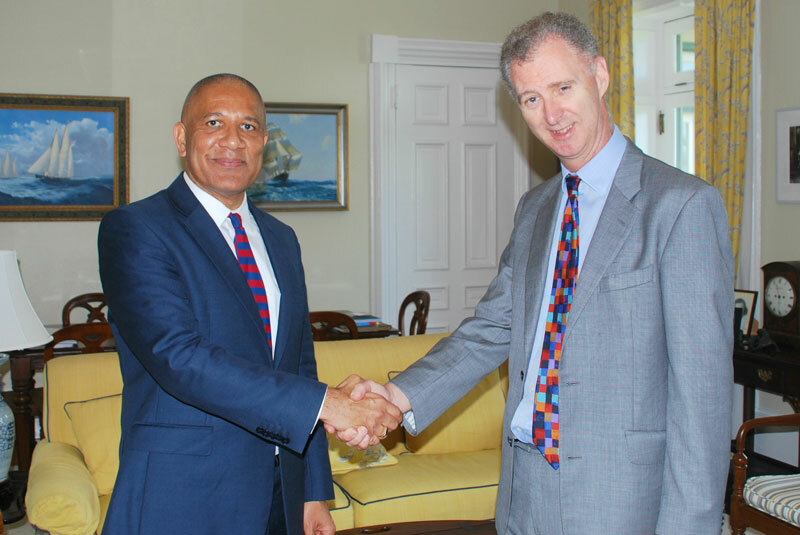 The Governor George Fergusson met with Larry Mussenden today to welcome him on his first day in office as the Director of Public Prosecutions. Mr Mussenden is returning to the Department of Public Prosecutions, where he worked earlier in his career. After being admitted as a barrister in England and Wales in 1995 and in Bermuda the following year, Mr. Mussenden served as a Crown Counsel in the Attorney-General’s Chambers in 1996 and then as a prosecutor in the Office of the Department of Public Prosecutions. He has also served as an Acting Magistrate in criminal matters. More recently he has worked in private practice, specialising in criminal and civil litigation matters. He also served as Attorney General and Minister of Justice from January 2004 until October 2006. I am so proud of Mr. Mussesden. What will come back f Cindy Clarke I wonder? Congratulation and success in your endeavors Mr. Larry Mussenden as Bermudas Director of Public Prosecutions. Congrats Larry! Finally a Bermudian! I like the tie, Gov. This is my part time job, just until I become the head of FIFA! Congrats! The OBA finally got their very own DPP! Ms. Clarke was apparently too “green” for them. “It is a huge honour for me to be announced today as the Progressive Labour Party Candidate for Constituency Nine also known as Smith’s West”. Larry Mussenden 30th July 2007. He’s most likely going to get the Concacaf position, as he is well poised for same. Have tremendous confidence in his ability, but will he be able to juggle both very important roles? A very capable and forthright man in a most important job. Congratulations Larry and I wish you much success.